1.AT-6F-150 is special design for print on the "flat object". (1)Size of the rubble roller is Φ100*150mm,the stroke of the side table is 300mm. (2)The difference between this machine and the other machine are as following. 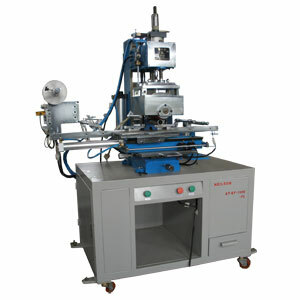 3.For the detail feature of these two machine,you could refer to our catalogue page 16,machine type AT-6HRE. 4.We could equipped the slide table with 400mm stroke on this machine,but buyer should let us know before place the order.